In our quest for the best 'Haze x sativa' hybrid, it was clear that Panama was the perfect match to strengthen the best american sativa Haze traits. In 2008 we released a Haze x Panama limited edition which gave excellent results. Back by popular demand, we have decided to recreate this hybrid for our 10th anniversary using even better parental plants this time. 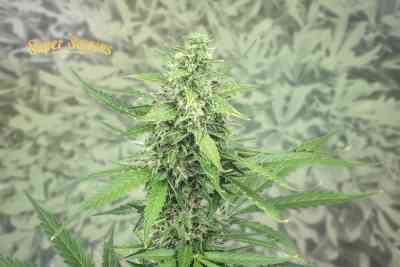 To create Panama Haze, we have pollinated our best incensey Purple Haze and Green Haze parental plants with our F10 Panama elite. The result is an outstanding Haze dominant F1 hybrid, with great vigor, potency and yield, where the lemony, spicy and incensey classic Haze aromas have been enhanced. Panama's influence is significant in this hybrid, increasing flower density, resin production, potency and duration of the effect. We have improved Haze's indoor adaptability and reduce its flowering time without adding indica or skunk genetics. We are sure that Panama Haze (along with our other Haze x sativa hybrids) will help to open a new chapter where the Haze recovers its super sativa splendor and essence, thanks to the introduction of 'fresh blood' coming from our best sativas. Structure: Tall and flexible sativa, with strong lateral branching. Bouquet: Lemony, spices and incensey. High: Deep, long lasting, hipnotic and psychedelic Haze effect. Growing Tips: Panama Haze can be grown indoors without problems, strong light intensity is recommended to achieve the best results. Outdoors, it produces excellent results in tropical/subtropical climates, and it can also be grown in coastal weathers with warm autumn until latitude 43º. In continental or highland climates it can be grown until latitude 35º. We recommend average fertilizer levels for the whole cycle, slightly softer with Nitrogen.